Vice President Jejomar Binay’s popularity with the masses could make him win the Presidency in the 2016 election, according to an international research group based in the United Kingdom (UK) monitoring the run-up to the May 2016 Philippine elections. “There is a risk that a more populist figure, such as the current Vice President, Binay, will win,” said the Economist Intelligence Unit (EIU), the research and analysis division of the Economist Group, a sister company of London’s The Economist weekly newspaper. 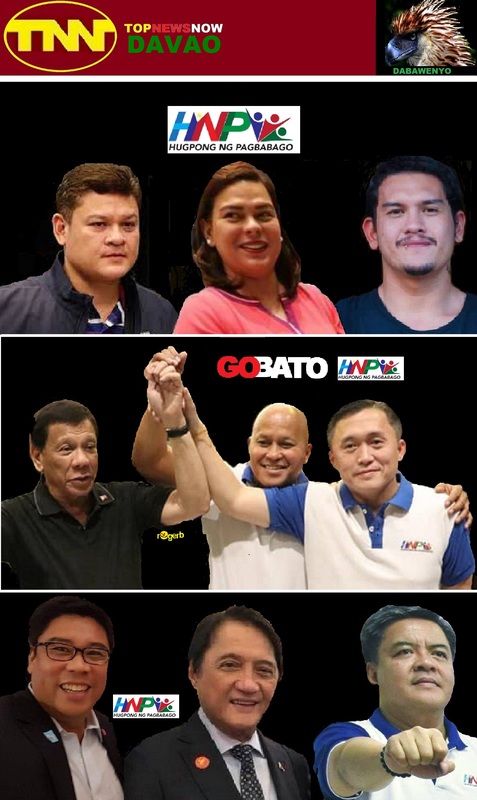 The presidency will be contested in a five-cornered battle between Binay of the opposition United Nationalist Alliance (UNA), independent candidate Senator Grace Poe, Mar Roxas of the ruling Liberal Party, Davao City Mayor Rodrigo Duterte of the Partido Demokratiko Pilipino/Laban (PDAP/Laban) and Senator Miriam Defensor-Santiago of the People’s Reform Party. In its analysis, the EIU predicts the presidential derby to be a “three-horse contest,” between “front-runners” Poe, Binay and Roxas. Binay has led latest surveys for presidential preference by pollsters Social Weather Stations (SWS) and Pulse Asia. Poe, an adoptive daughter of the late movie icon Fernando Poe, is however hobbled by a disqualification case for lack of residency and citizenship requirement to run for President under the Philippine Constitution. She has brought to the Supreme Court her disqualification to run by the Commission on Elections (Comelec). She had topped previous surveys but had lately been dislodged by Binay, with the disqualification case negatively impacting on her rating in the surveys. Roxas, endorsed by Aquino who is bowing out of office in June, is troubled by his consistent low ranking in the surveys. Being an administration candidate, he is burdened by criticism against the outgoing Aquino administration which he had served as Interior Secretary before being picked as the standard bearer of the Liberal Party. Support of Aquino’s policies could translate to plus factors for Roxas and Poe, said EIU. But this would not be enough to overcome Binay’s potential capture of the presidency. “Although support for Mr. Aquino might boost the prospects of like-minded liberal candidates, who are expected to retain his policies, the two hopefuls falling into this camp—Grace Poe and Manuel Roxas—face significant hurdles,” apart from Binay’s mass appeal, the EIU said. The EIU said Roxas “remains dogged by criticism” over his slow response as Interior secretary during super typhoon Yolanda in 2013. The issues against Roxas and Poe would eventually negate the gains they may earn if they support Aquino’s policies, according to the EIU. “Although there is a good chance that the electorate will vote for a liberal candidate who represents a continuity of Aquino’s administration, there is a risk that a more populist figure, such as the current Vice President, Binay, will win,” the EIU said. Even as it sees a Binay victory, the EIU said that foreign investors are holding on to their pockets as they await results of the election. “Vice President Binay is committed to pursue economic reforms but will introduce efficiency, consistency, decisiveness and a sense of urgency,” assured Binay spokesperson Joey Salgado. Salgado said investors could trust Binay whose tract record as financial manager has been proven when he served for two decades as mayor of the Philippines’ financial capital. Being a former mayor of Makati City, the country’s main financial center, Binay recognizes the important role of the business sector in moving the economy forward,” said Salgado. ← ROXAS IN FAKE NIELSEN TV ADS SPENDING REPORT?